For most people, the act of reading is a reward in itself. However, studies show that reading books also has benefits that range from a longer life to career success. If you’re looking for reasons to pick up a book, read on for seven science-backed reasons why reading is good for your health, relationships and happiness. Stress is a common hazard of our modern lives. A study by the University of Sussex demonstrated that six minutes of silent reading can reduce stress levels by 68 per cent. In fact, reading works better and faster than other methods such as listening to music, going for a walk or sitting down for a relaxing cuppa. There are many reasons for the profound stress relieving effect of reading. First, reading allows the mind to focus and concentrate on the words, which pulls the reader away from anxious thoughts. Reading also has the effect of suspending reality. When we read, we escape into another world or another person and enter into an altered state of consciousness, which alleviates tension in the muscles and heart. The relaxing effect produced by books is not determined by the type or genre of book you are reading, as long as you can lose yourself in the narrative. While an apple an day can keep the doctor away, a book a week can keep the grim reaper at bay. Reading has an unexpected bonus of increasing your lifespan. A 2016 study published in Social Science & Medicine journal found that reading for at least 30 minutes a day extended the lifespan of participants by an average two years, with book readers who read more than three hours every week at an advantage over their peers who read magazines and newspapers. Booktrust, the UK’s largest reading charity, conducted a survey of 1500 adult in the UK and found that people who read books regularly are on average more satisfied with life, happier, and more likely to feel that the things they do in life are worthwhile. In the case of mild to severe depression, reading self-help books or being read to can assist in recovery. While books cannot replace the role of psychologists and therapists, in the case of mild depression, bibliotherapy can be as effective as standard medical care. 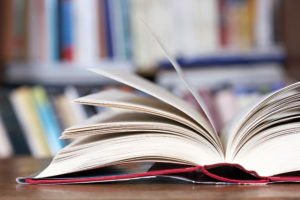 In fact, UK organisation Reading Well has a selection of book titles and evidence-backed booklists endorsed by medical experts to promote health and wellbeing. Reading is a workout for the brain, and keeping your mind active can help preserve brain health later in life. Research shows that elderly patients who read books or play mentally challenging games are two and a half times less likely to develop Alzheimer’s. Reading is also associated with lower risk of developing dementia. The study found that it didn’t matter if people began reading or other mentally engaging activities early or late in life, there was a slower rate of decline either way, so it’s never too late to pick up a book. Reading before bed helps with sleep, especially if your transform your reading into a night-time ritual. 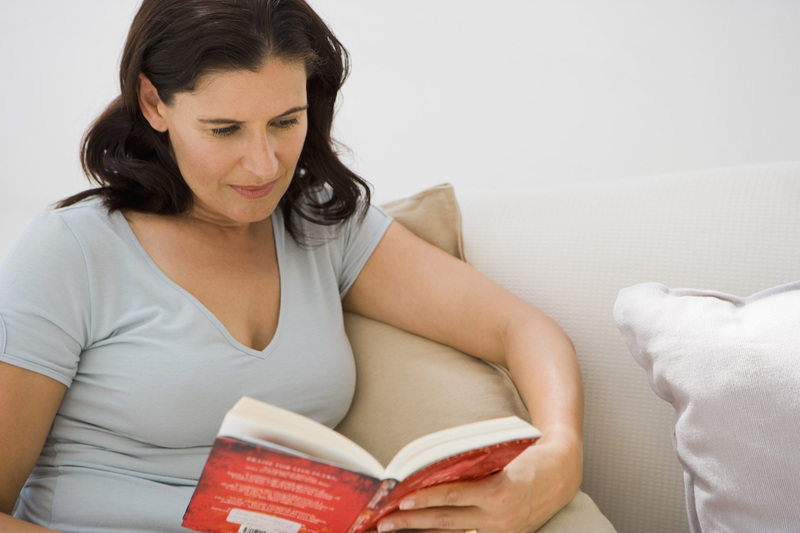 There are a few reasons why reading before bed is good for your sleeping habits. The main reason is the decrease in stress, anxiety and muscular tension associated with reading. Helping you relax and unwind before sleep can make a difference in being able to push aside anxious thoughts and allow your consciousness to drift off. Another reason is that the habitual ritual allows your mind to associate bed and reading with sleep. To do this, it is important not to mix up your habits. Make sure you switch your smartphone or tablet with a paperback book or eReader as backlit screen devices can disrupt the production of melatonin, and browsing the internet or scrolling through email and social media on your phone can keep your mind alert and in an active state. Reading has an indirect effect of improving our relationships through increased empathy, a vital trait for successful and rewarding relationships. Despite the solitary bookworm stereotypes, studies have proven a link between reading literary fiction and an increased ability to understand the emotions and thoughts of others, better social skills and relating to others whose lives are different from ours. The brain doesn’t distinguish reading about an experience and living it – the same regions are activated. Reading literary fiction produces a simulation of reality, which allows us to experience the emotions and thoughts of characters. In this regard, literary fiction acts as a bridge to better understand other people and points of view that are vastly different from ours. Although participants in the study were tested on their reactions after reading non-fiction, genre (popular) fiction and literary fiction, the results specifically identifies literary fiction as having an effect on empathy. This is thought to be because literary fiction explores the psychology and relationships of the characters in more depth than genre fiction and non-fiction books. Have you heard of the saying ‘not all readers are leaders, but all leaders are readers’? Well, there’s a lot of truth in that. Many historical leaders were known to be avid readers, and some of the most successful business leaders such as Bill Gates, Oprah Winfrey and Elon Musk have associated reading with their career success. Studies in the US show that active readers are likely to earn up to five times than those who spend little or no time reading. A study of the world’s wealthiest people found that the only trait in common was the fact that they read. This was echoed in a study in the UK, which uncovered that on average, the higher the socio-economic group an individual belongs in, the more often they read. The link between reading and success is thought to be driven by the desire for knowledge. Reading makes us better thinkers by improving our critical thinking and problem-solving skills, boosting our general and specific knowledge and developing our social and communication skills. Tech billionaire Elon Musk learned how to build rockets by reading books and would spend more than 10 hours a day reading science fiction novels. For most, the act of reading is a solitary act but this doesn’t have to be the case. Reading can be turned into a social event by finding a like-minded group of friends or members of your community and joining a book group. The benefits of book groups is transforming an isolated practice into a social ritual and being able to discover a group of individuals that share the same passions. Reading and discussing books have the effect of getting a deeper understanding of the story through listening and debating different points of view. There are different options for book groups, from online and social media book clubs to face-to-face book groups. If you are trying to decide which style of book groups suits you, check out our Traditional vs Online Book Clubs article. Reading doesn’t have to be an expensive habit. 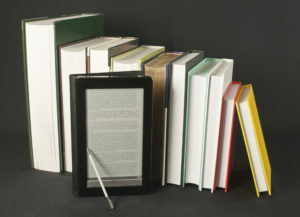 There are many great classics available for free if you’re okay with reading on a tablet or computer screen, and there are some great free library or low-cost subscription and book group services to gain access to a range of great books. So if you’ve been procrastinating your reading, perhaps now is a great time to pick up the paperback?